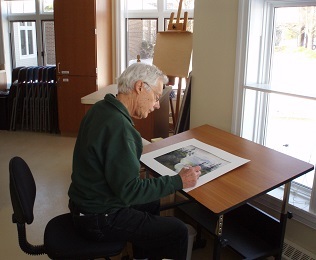 Are You Looking for Creative Outlets in a Retirement Community? Retirement gives us an opportunity to continue the pursuit of our passions and also discover a few new ones. Choose to live in community with opportunities to develop your creative talents. At Kendal, you’re encouraged to seek the creative outlets you’ve always enjoyed and we make certain there is no shortage of avenues to do so. As we experience life, we often develop curiosities in areas we’ve never before had interest. Traveling and encounters with friends or acquaintances inspire a thirst of knowledge in an area we’ve never considered. At Kendal, residents have access to our neighbor Oberlin College. 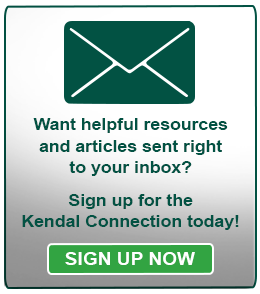 The college opens its doors to residents of Kendal and welcomes them to audit classes at no charge. Oberlin College is known nationally for its academics and progressive philosophy. It was the first institute of higher learning to regularly admit women and African-American students. Kendal residents are welcomed by students and faculty alike in an effort to form mutually beneficial intergenerational relationships. Not only does Kendal have programs for residents who want to participate in the arts, but residents also enjoy the Conservatory of Music at Oberlin College. Throughout the school year the conservatory hosts over 500 performances. Transportation is often provided or residents can walk to the campus, located less than 1 mile from Kendal. One of the many advantages to retirement communities is the proximity to other older adults with similar interests. What types of events does your community have for you to converse with these residents on an intellectual level? Social interactions in a cerebral setting are important for entertaining a sharp mind. Creative writing is a passion enjoyed by so many and sharing your work with others is icing on the cake. Like reading, writing is vital to maintaining respectable communication skills. The residents at Kendal of Oberlin express themselves and the community by contributing to a blog on our website and also Eureka, our very own anthology of creative work of words and art. Creativity is vital to our residents maintaining and improving their way of life. Securing an outlet to express yourself in a diverse community will surely push the bounds of your creativity. Please join us on social media (Facebook, LinkedIn, Google+) to learn more about Kendal at Oberlin and how we’re transforming the experience of aging.